Other names: Chittagong rubber, luti aam. Gedraphol is found in the north eastern part of India, the region which is adjacent to Myyanmar. 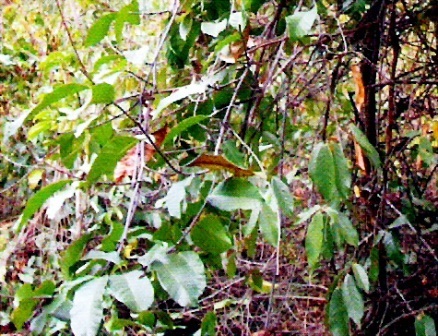 A woody climber, with long hooked tendrils. 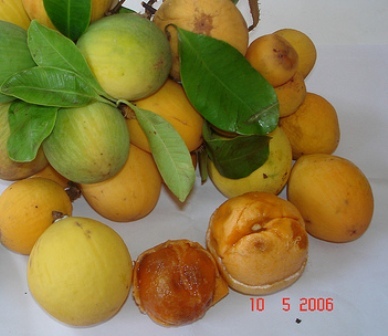 Fruits yellow or red, 5.0 – 7.5 cm long and 3.8-5.6 cm wide, resembling small mangoes, edible. 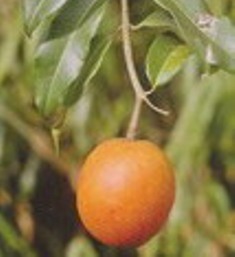 Gedraphol fruits taste pleasantly acid and are popularly eaten by local people. This plant yields a cautchouc which contains about25-27 per cent rubber. The cautchouc also yields 55-85 per cent resin. Gedraphol vines are sometimes planted around homes by local people. New plants are raised from seed.